Provincial ministers assembled in Ottawa for an emergency meeting on First Nations child welfare hold off on signing a final agreement to transform a "broken" system, saying they need more time to consider the fundamental reforms the federal government is proposing. 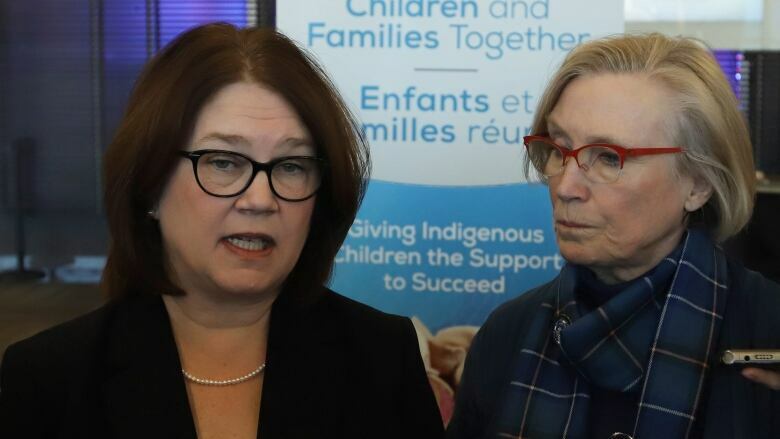 Provincial ministers assembled in Ottawa for an emergency meeting on First Nations child welfare held off on signing a final agreement to transform a "broken" system Friday, saying they need more time to consider the fundamental reforms the federal government is proposing. Indigenous Services Minister Jane Philpott unveiled a six-point action plan yesterday, ahead of the two-day meeting, which would commit the provinces to "drawing down" jurisdiction. In plain terms, that means the provinces eventually handing over control for child welfare to Indigenous communities. None of the provincial ministers in the nation's capital agreed to sign a deal with the federal government on shared principles. "I think the will is there," Philpott said. "I think we are agreed on the core issues that have to be addressed. We weren't able to reach a point of agreement that people could put down on paper and sign their names to. "I don't think that's anything to be discouraged about, because I absolutely believe everyone is understanding the severity of this problem." Manitoba Families Minister Scott Fielding said he didn't sign on to the plan in part because he has not yet consulted with local Indigenous leadership. "There isn't a disagreement that we need to fix a broken system." The Progressive Conservative government in that province is pushing ahead with reforms of its own, some of which are concerning to the federal Indigenous ministers. Danielle Larivee, Alberta's minister of children services, said the challenge is settling on "specific wording" for shared principles. "They [the federal ministers] wrote the principles so obviously they agreed with them, but very much the provinces felt that, in the spirit of reconciliation, the conversation with Indigenous leaders was required," she said in an interview with CBC News. 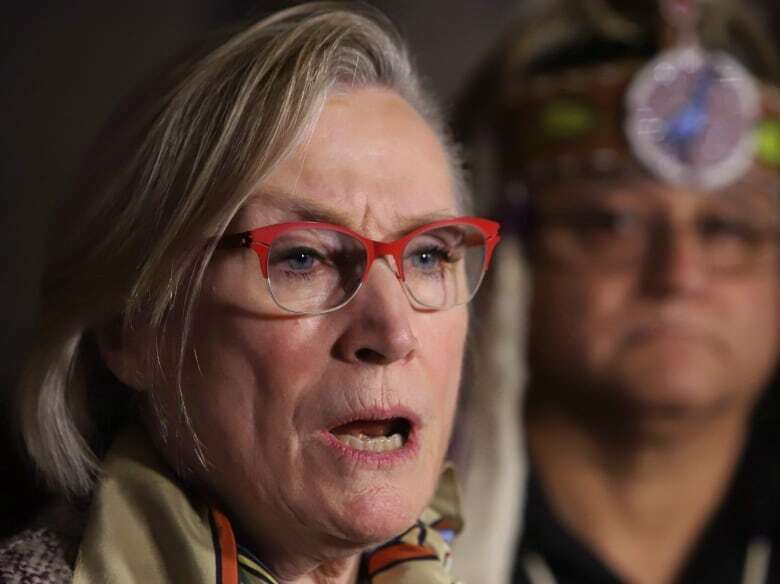 Crown-Indigenous Relations Minister Carolyn Bennett made an impassioned plea to the provinces Friday to devolve child welfare so as to avoid provincially mandated agencies stepping in and taking at-risk children and placing them in non-Indigenous homes for care. There is a fear that the current system — regularly seizing children from their families and communities, and placing them with foster parents — replicates the mistakes of the Indian residential school system and the Sixties Scoop, as it alienates kids from their traditional language, culture and support networks. "[We have to] move to a system where nations and Inuit … take back control of their futures. We look forward to a day when First Nations, Metis and Inuit no longer have to claim their rights," she said, adding the numbers show the system, as it is currently constituted, simply doesn't work. While less than eight per cent of all Canadian children aged four and under are Indigenous, they accounted for 51.2 per cent of preschoolers in foster care in 2016. That number skyrockets to 90 per cent in the province of Manitoba. Assembly of First Nations (AFN) National Chief Perry Bellegarde said despite the absence of an agreement on reform, "every province and territory better have a respectful relationship with full involvement and inclusion to fix the provincial laws, systems and budgets … as we work toward full jurisdiction to occupy that field, to look after our own children." Larivee, the Alberta minister, said while she's broadly supportive of a push to empower Indigenous communities to take care of their own children, she wants to hear more details from the federal government about what role they envision for the provinces, the level of government that now carries much of the burden of arranging care for children in need. "I'm certainly happy to have conversations with those First Nations who feel they're ready and willing to take this on, about what the transition would look like," she said. Advocates say the current system favours apprehension rather than focusing on preventing family problems in the first place. Federal dollars for are often tied to just how many kids are held in state care, a funding scheme that has been branded as "perverse" for treating children like "commodities." Instead, those pushing for reform want more money directed at programs for teen parents, rehabilitative family services, substance abuse treatment, warnings about fetal alcohol syndrome and other education campaigns to make apprehension a last resort. Kinship care, or placing children with family members like grandmothers, are other alternative models Indigenous communities want to explore. "Ultimately, the communities have the solutions and they need to be listened to," Bennett said. "We know that communities with the lowest apprehension rates are the ones where they have taken it into their own hands. The dollars need to go to children, families and communities, not to lawyers to apprehend children, and agencies and non-Indigenous foster families. That's where the money is going now." She also said poverty has to stop being used as a reason to take Indigenous kids away from their parents. "No more of this automatic stuff because there's no bedrooms or not enough cupboards of there isn't a fire extinguisher and we've been saying this for two years … let's just be real about the racism and discrimination that is going on in these decisions that are being taken, and it just has to stop," she said. In Canada, funding models vary, with many provinces carrying the financial load for First Nations children who live off reserve despite federal responsibility for status Indians. Critics also say provincial rules and regulations on child welfare prohibit Indigenous communities from designing their own systems of kinship care and family reunification.